The story of Chocolate begins over 3,500 years ago when Mayan scripts say that the gods delivered the first cacao beans to the Mayan people. 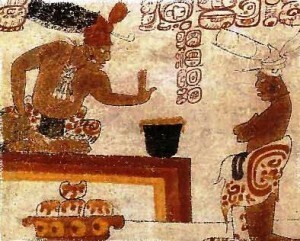 Revered as the food of the Gods, Chocolate is an ancient food with deep roots in Mesoamerican culture. In the tradition of the Maya ancestors: as a steward of the of this ancient traditions, Sparrows Gate Mission has teamed up with local growers to create Maya Cacao. Come and learn of the ancient story of the cacao bean. “From the Bean to the Belly” you will learn how to chocolate is made as you have a hands on traditional chocolate-making demonstration.